Over the past 27 years, our office has helped over 2,700 Washington clients file for Chapter 7 and Chapter 13 protection in order to get their lives organized and Get a Fresh Start! This timeline does not include all bankruptcy events. It is a summary description of bankruptcy and may not be accurate under all circumstances. You should consult a qualified attorney to see how the law will apply to your situation. Who or what is a debtor? 6 Years Before Bankruptcy Filed Prior bankruptcy prevents Chapter 7 discharge. 4 Years Before Bankruptcy Filed Prior bankruptcy prevents Chapter 13 discharge. 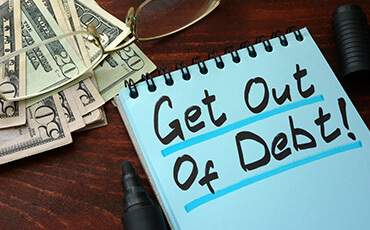 A debtor cannot receive a discharge under Chapter 13 if he or she received a discharge in a Chapter 7, Chapter 11 or Chapter 12 bankruptcy which was filed within 4 years before the present case is filed. [11 U.S.C. § 1328(f)(1)] Note: In some circumstances a Chapter 13 may be of significant benefit even if a discharge will not be received. 3 Years Before Bankruptcy Filed Taxes on returns due not discharged in Chapter 7. 1 Year Before Bankruptcy Filed Transfer, concealment or destruction of property prevents discharge in Chapter 7. 240 Days Before Bankruptcy Filed Taxes assessed not discharged in Chapter 7. 180 Days Before Bankruptcy Filed Dismissal of prior bankruptcy prevents filing Chapter 7 or 13. 90 Days Year Before Bankruptcy Filed Minimum state residency requirement. 70 Days Year Before Bankruptcy Filed Debt presumed to be nondischargeable. Bankruptcy Filed Commencement of Case. A voluntary bankruptcy is commenced when you file a petition with the Bankruptcy Court requesting protection from your creditors under Chapter 7 or Chapter 13. A husband and wife may file one petition together and commence a joint case. [11 USC §301, 11 USC §302, 11 USC §101(42)] The filing also puts a stay under 11 USC §362 into effect prohibiting collection actions. Call the Law Offices of Christopher A. Benson, PLLC to schedule your free consultation. 15 Days after Bankruptcy Filed Schedules must be filed. About 18 Days after Bankruptcy Filed Court Mails Notice of Commencement of Case. Approximately 18 days after the bankruptcy is filed, the court mails a Notice of Commencement of Case to the debtor and to the creditors included in the list of creditors. The notice contains meeting date, deadlines for objections to discharge and for filing Proofs of Claims. The court’s Automated Information Line provides much of this information almost immediately after the bankruptcy is filed. 30 Days after Bankruptcy Filed Chapter 7: Statement of Intention regarding secured debt must be filed. 7 Days before 341 Meeting Provide copies of tax returns. About 6 Weeks after Bankruptcy Filed § 341 Meeting (Creditor’s Meeting). Section 341 (the symbol “§” means section) of the Bankruptcy code requires the Trustee to preside at a meeting of creditors within a “reasonable time” after the filing of the bankruptcy. [11 USC §341] This meeting is usually held approximately six weeks after Bankruptcy is filed. The meeting time and date is included in the Notice of Commencement of Case mailed by the court, and is available on the court’s Automated Information Line shortly after the case is filed. Each debtor is required to attend this meeting and testify under oath, but most creditors do not come to the meeting. The failure of creditors to attend the meeting does not effect their right to challenge the discharge in a Chapter 7 or to object to the plan in a Chapter 13. If the debtor does not attend, the case will be dismissed. 30 Days after 341 Meeting Deadline to file objection to claim of exemption. 60 Days after 341 Meeting Chapter 7: Deadline for objection to discharge of a particular debt under §523(c). More than 60 Days after 341 Meeting Discharge entered in Chapter 7 case. Court rules require that the discharge be entered “forthwith” after the expiration of the time for objecting to discharge or moving to dismiss the case. The time for those objections expires 60 days after the first date set for creditor’s meeting. [Rule 4004(c)(1) FRBP, Rule 4004(a) FRBP, Rule 1017(e) FRBP] The discharge is not absolute or final. The Trustee can ask that the discharge be set aside if the debtor does not turn over non-exempt property, if the debtor fails to perform other duties, or if there were other matters pending which would result in the denial of the discharge. 90 Days after 341 Meeting Deadline for non-government creditors to file their Proofs of Claim. 120 Days after Bankruptcy Filed Final payment on filing fees due. 180 Days after Bankruptcy Filed Deadline for governmental unit to file Proof of Claim. 3 to 5 years after First Plan P-ayment Length of payments under Chapter 13 Plan. Copyright © 2019, Law Offices of Christopher A. Benson, PLLC. All Rights Reserved.